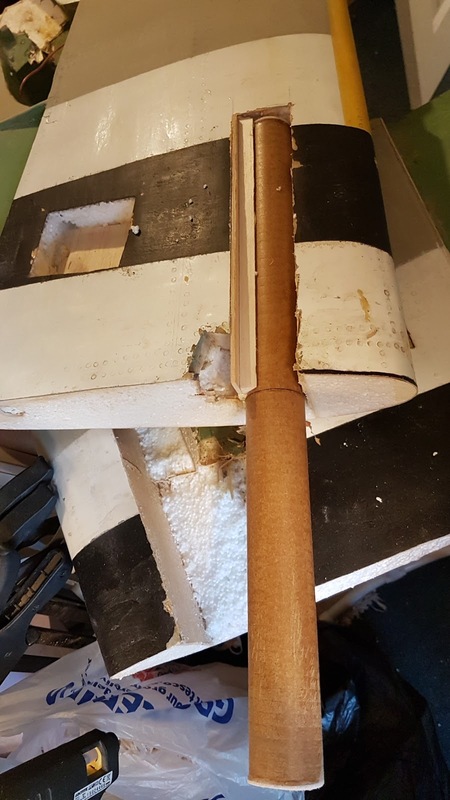 So I got the Typhoon wings in from the shed, as I need to start looking at how the cowl fits, and as that makes in and around the centre section of the wing, I need to have that near for testing. 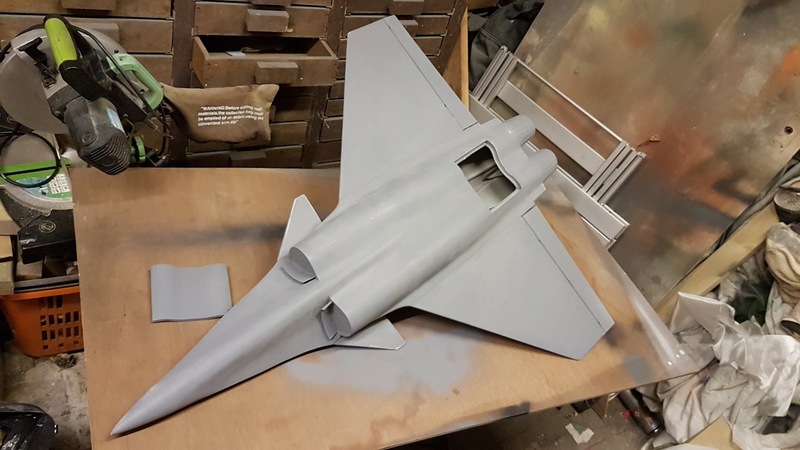 This was always something I was going to do at some stage, to make the aircraft more transportable and storeable (is that a word? it is now! ), plus the wings are in a bit of a sorry state. 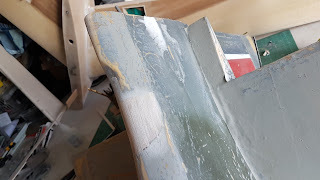 There's a couple of creases where it looks like she's had a wing in the dirt at some point, some veneer had lifted, the TE was a bit bent here and there....so this'll make it easy all round. 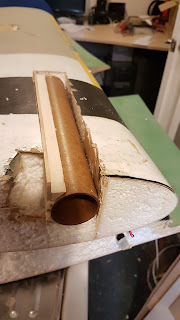 The flap servo boxes were odd...not even tied in to the bottom skins! 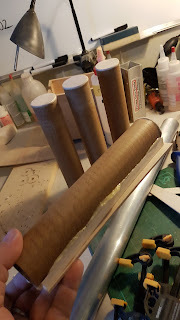 OK, enough for now, time to get the first side glued up! 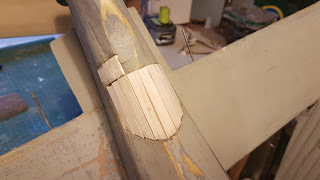 Tiffie's tail continues. Both elevators now sanded to final finish, and the rudder needed some attention too. 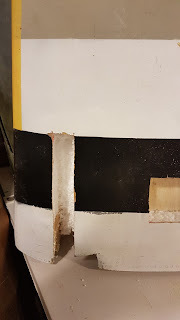 I re-made the TE top part of it, and also created a new trim-tab that will be secured after priming. So with the hard remedial work done on the tail end, time to look at the nose. 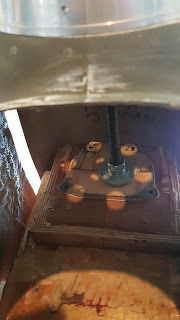 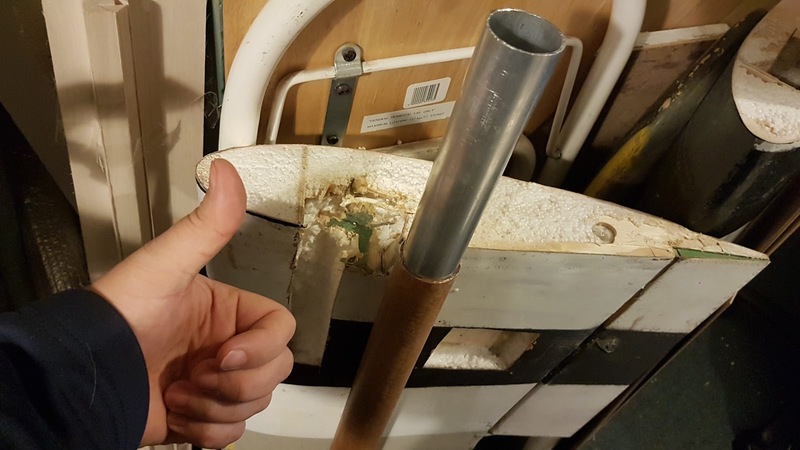 I have a long length of M12 studding running through the firewall that is secured with large washers and locknuts. This will then get shortened down to a sensible length for normal operation. So, the Tiffie first. 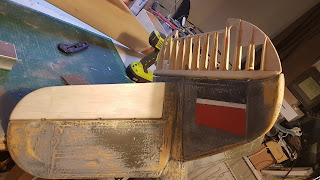 The original elevators were quite heavy, and have been re-hinged many times, making a mess of the tailplane too. 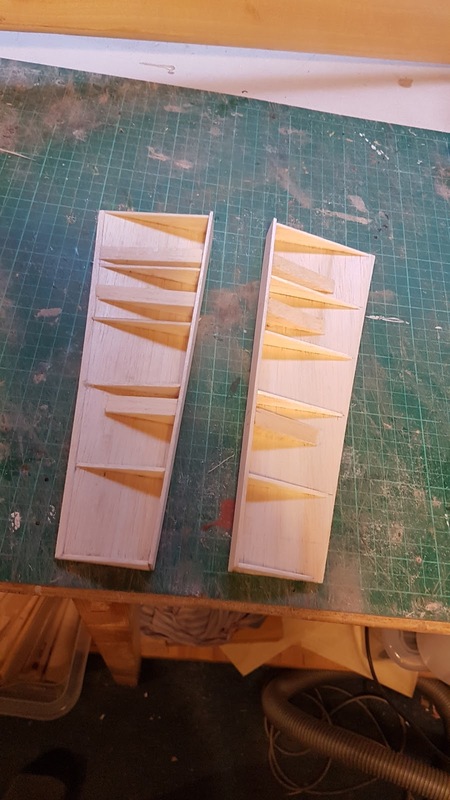 A quick 10 minutes later with some 3/32nd balsa, and I've got the core of them laid out and drying. 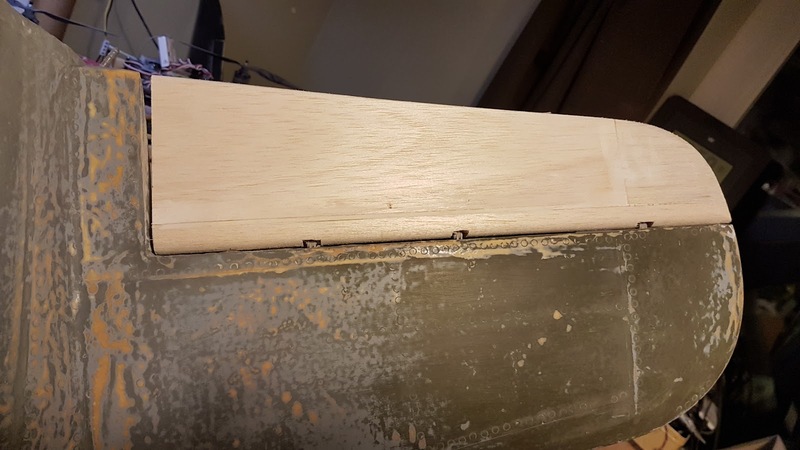 Thicker blocks are there for Robart heavy duty pin hinges. Then added the top skins with wood glue. 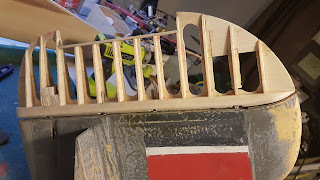 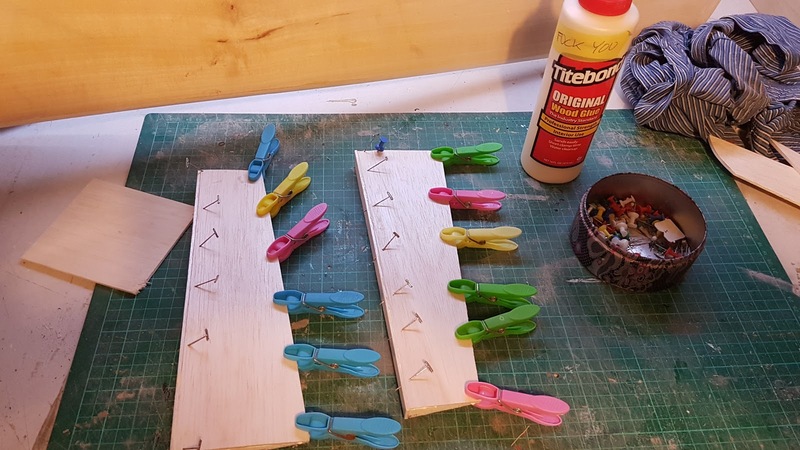 Their is a false LE on these of 1/8th inch balsa, which will have half inch balsa glued on the front of it for shape and strength. Everything shaped here, along with a block balsa tip, LE's shaped, hinges added. Much smarter, less wavy, and much lighter. Next! It's been a while since I've posted, but things have been hectic. I've moved a lot of models around the house in preparation for the new extension being built (work started today! ), so now I've moved my benches around, creating a just "work" area and a storage area for the server and models where I used to have a workbench. 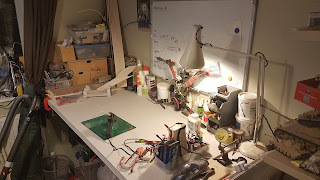 So all that means is that I now have a lot more clear room to build in, and all my tools can be right next to each other. 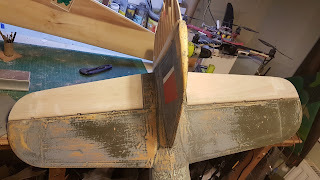 Here is the C17 tail, undergoing a trial fit now as I am adding a location tab at the front. 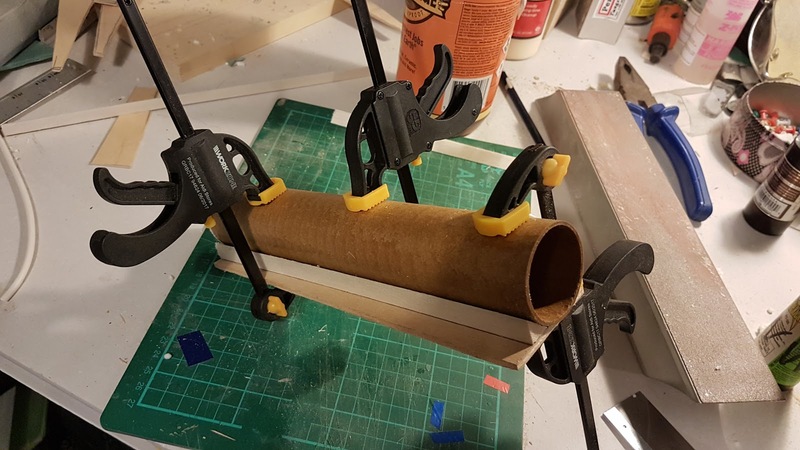 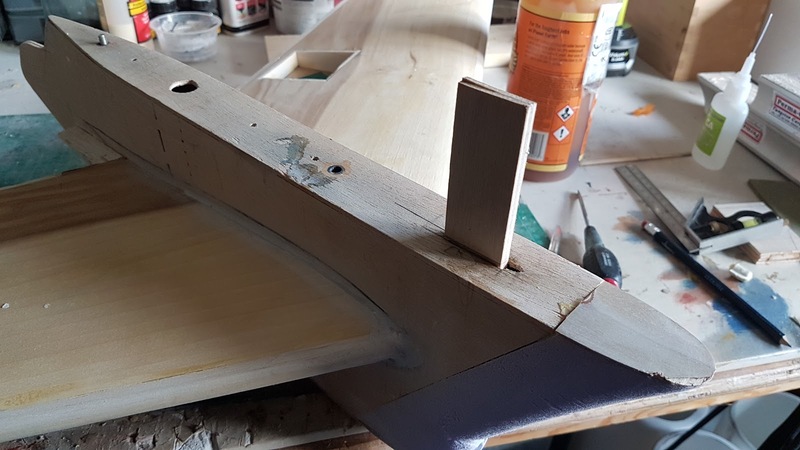 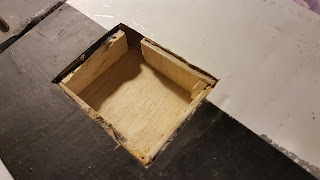 Here's the location tab - two layers of 3mm liteply wood-glued together, and gorilla glued into the tailplane assembly. 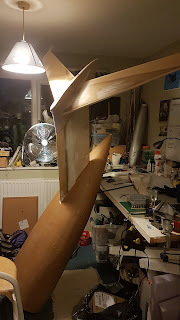 This will then fit inside a liteply pocket in the fin. 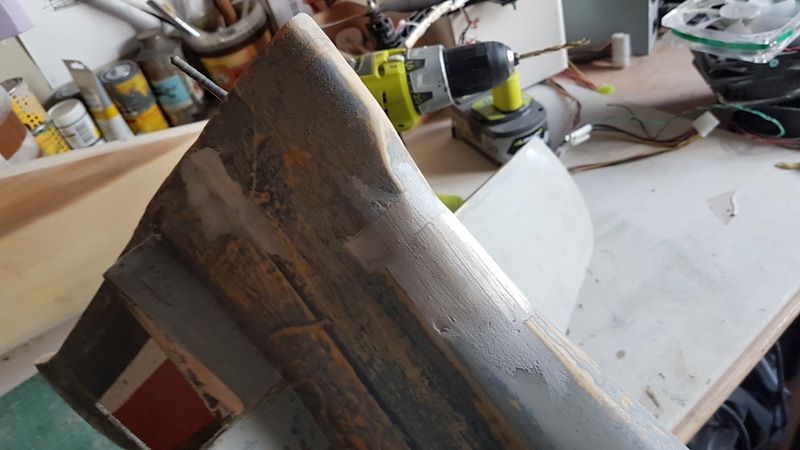 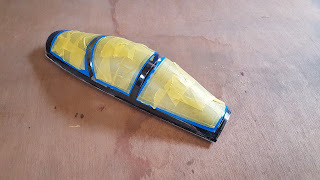 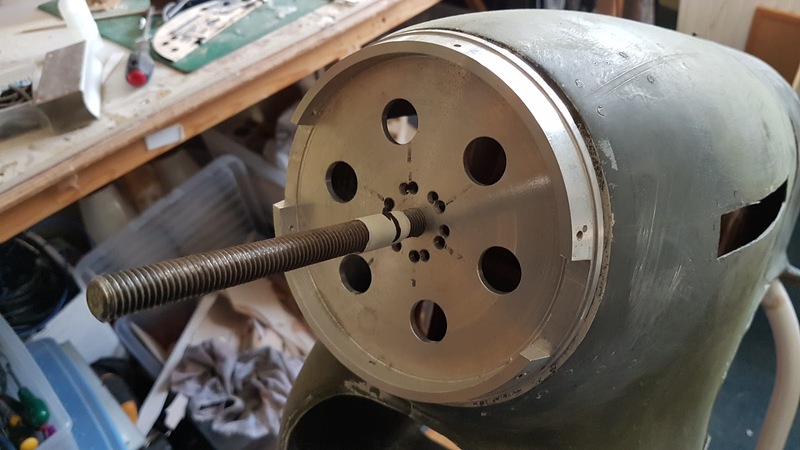 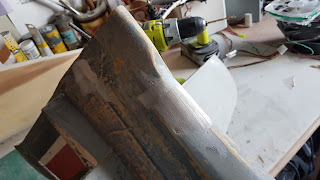 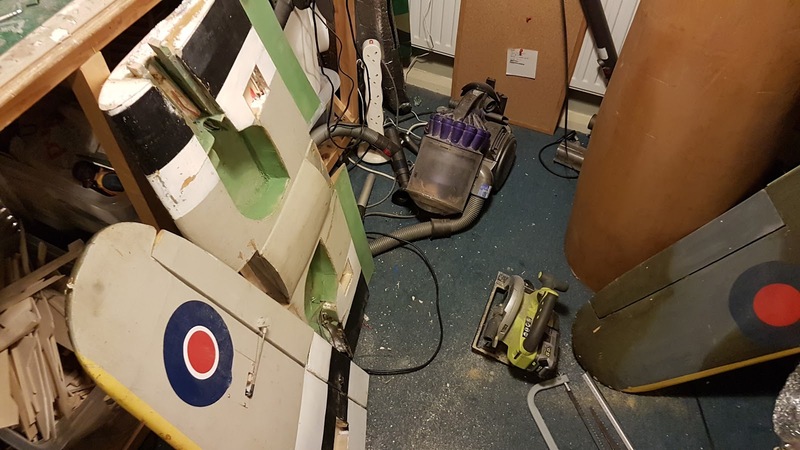 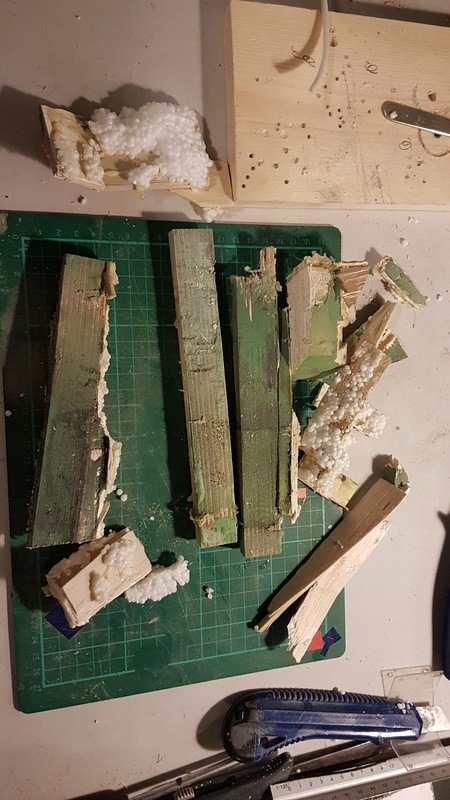 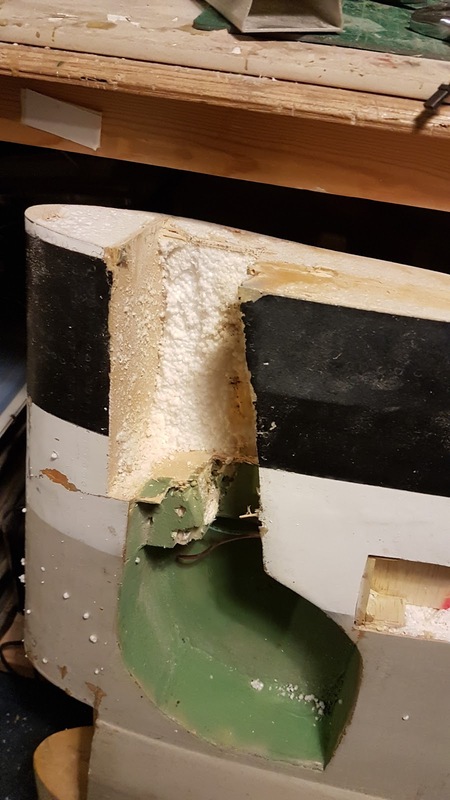 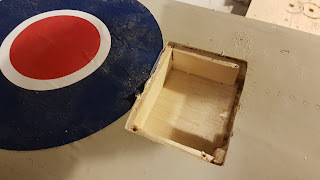 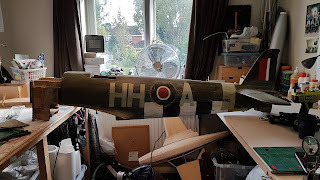 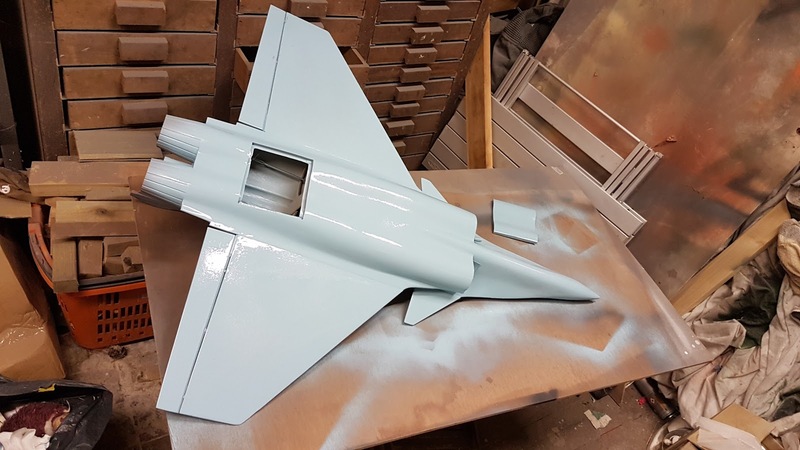 So whilst all that was drying...the Typhoon fuselage also had some love - I removed all the servos and wiring, and started on sanding down the paintwork. A couple more hours on the sandpaper and I will risk a light primer coat to see how smooth she is. 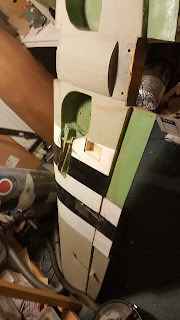 I'll be building new elevators and rudder, as well as a new cockpit installation in this one. Then lastly, the Rafale is nearing the end of it's build. 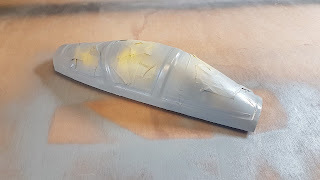 Here ready for bottom colour.. 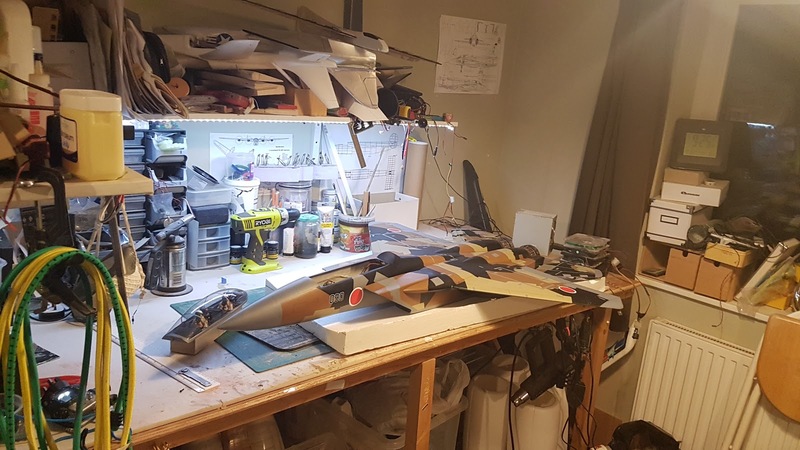 Lot's more to do on all the airframes, but things are so much easier now with the reconfigured work area.